Though judged innocent of blasphemy by Pak's Supreme Court, Asia Bibi won't be allowed to live safely in her own country. This is where India must step in. There are three kinds of Pakistan that exist today — and each kind has no connection with the other. The first one is Imran Khan's 'Naya Pakistan', a Pakistan that is self-sufficient, economically strong and a military superpower in the south Asian region. The second Pakistan is the Pakistan that the verified Pakistani Twitter handles project — a liberal Pakistan which allows minorities to thrive and a democratic system which is governed by the rule of law. There's 'Naya Pakistan' and there's 'social media' Pakistan — the two sometimes meet on a fashion runway. The third Pakistan is the Pakistan that exists in reality. This Pakistan is diametrically opposite to the first two Pakistans. This Pakistan is broke, ruled by a mob of religious fanatics, completely intolerant of the minorities and governed by a Deep State that consists mainly of the military and the ISI. Every now and then, there comes an incident that lays bare this true nature of Pakistan — a state that is so deeply fanatical to the core that any kind of logical argument will fail to describe it. One of the cases in point is that of Asia Bibi. Bibi is a minority Christian woman who was accused of blasphemy for drinking from the same cup as the majority Pakistani Muslim ladies and then allegedly engaging in an argument with them. The police complaint and the investigation reports narrated the argument only from the point of view of the accusers and never really took into account the actual narrative of Asia Bibi. Asia Bibi, as a result, was sentenced to death and remained on death row for nine years. The country's true face was exposed once again when two prominent lawmakers were gunned down just because they dared to speak in favour of Asia Bibi. 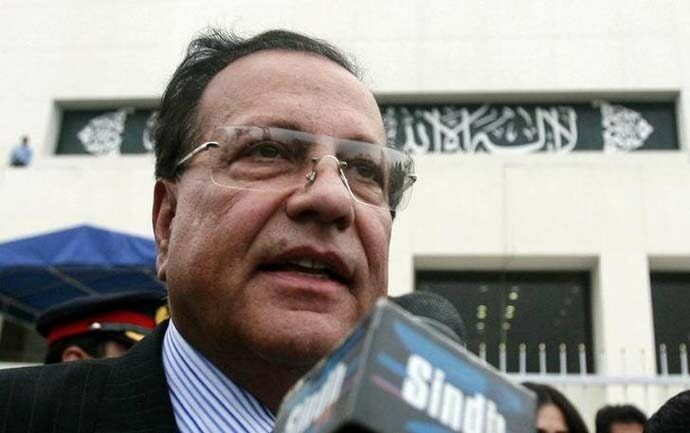 The Governor of Punjab, Salmaan Taseer was gunned down by his own security guard because he spoke in favour of Asia Bibi and demanded that she be released immediately. He also wanted to end the misuse of blasphemy laws that have already claimed hundreds of lives in Pakistan, including its dwindling minority communities who live without dignity in most Pakistani provinces. Malik Mumtaz Hussain Qadri, the 26-year-old security guard, was convicted of the crime and hanged in 2016. But true to the social fabric of Pakistan, Qadri is now regarded as a martyr — and not an assassin. Believe it or not, his grave is actually a pilgrimage site in Pakistan. Another person who was murdered on the same lines was the only Christian minority federal minister in Pakistan, Shahbaz Bhatti. His life was in danger for a long time and according to reports, even the CIA had unsuccessfully tried to convince the ISI that Bhatti needed an armoured, bullet-proof car. It is rumoured that the ISI didn't allow the CIA to supply Bhatti with an armoured car, despite having specific inputs about his murder. Why? Because the ISI, it is rumoured, apparently wanted to eliminate him to please some of the religious fanatics. He died exactly as predicted and there was just lip-services from people in power in that country as the Pakistan Taliban took responsibility for his killing. 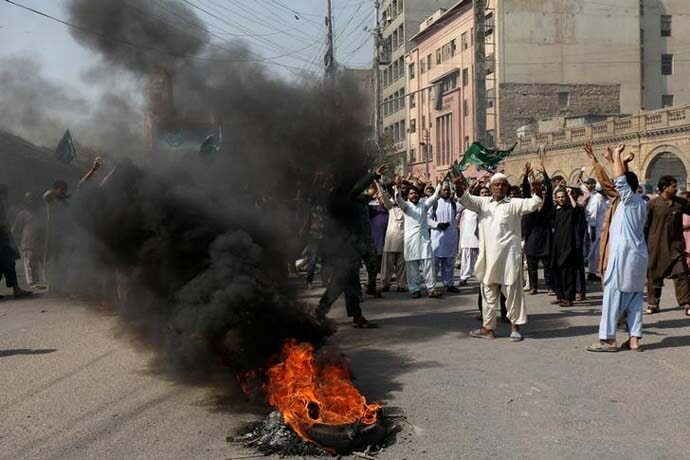 Soon, Asia Bibi's case came up for a final hearing among frenzied slogans through the country. Given the kind of public sentiment Pakistani vernacular newspapers were portraying, everybody thought Asia Bibi would be sent to the gallows. However, to everybody's surprise, good sense prevailed and in a historic judgment Asia Bibi was declared innocent and spared her life. 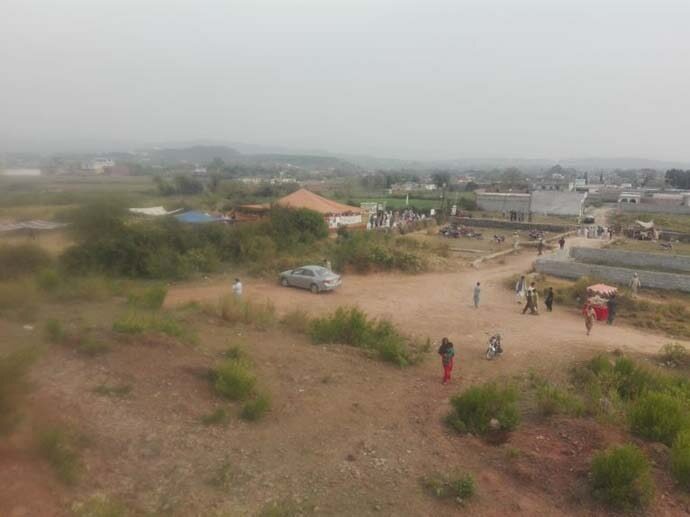 Immediately after the judgement was delivered, members of a known fanatic but legitimate religious organisation called Tehreek-e-Labbaik Pakistan (TLP) crippled life in Pakistan. Its supporters blocked roads and highways. This is the same party that has been releasing videos on social media, threatening to kill the judges in this case, and imploring their "soldiers" to prepare for the ultimate sacrifice. Don't think that this party doesn't enjoy public support in Pakistan — this is actually the fifth largest party in that country, with a wide base of supporters who can choke the living daylights out of a civilised nation. As I write this, the Tehreek-e-Labbaik Pakistan (TLP) is engaged in destroying public property and unleashing a reign of terror among the poor public. This is the true face of Pakistan — a country carved out of our own but which has ever since walked down the path of religious fanaticism. 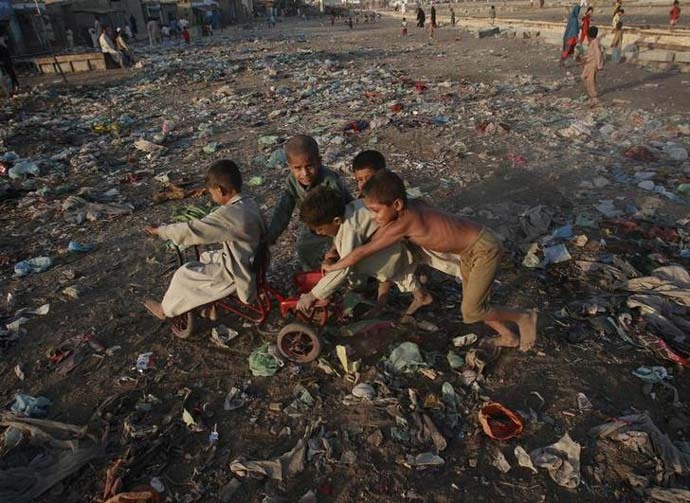 Forget about its 'good terrorist' and 'bad terrorist' policy that we heavily criticise on international platforms, the rudderless and spineless Pakistani administration is actually party to a series of skewed legislations that is ensuring the minority population slowly gets wiped out from its land. In different parts of the country, minorities are reportedly being killed, abducted or intimidated regularly. You can simply read the wikipedia page on religious discrimination in Pakistan to get an idea about how bad the situation is and why the minority population is dwindling day by day. That is the Pakistan social media liberals don't talk about — but, ladies and gentlemen, that is its true face. Pakistan is a country which denies you your basic rights if you are a Hindu or a Christian or a Ahmadi. The rights definitely exist on paper —but on the ground, it's a totally different — and opposite — story. Do you think a person like Asia Bibi will be able to live in such a country, even if she is deemed innocent by the Supreme Court of Pakistan? If Asia Bibi is not provided with an army cordon as security, the day is not far when you will see her dead body on social media. As I speak, several legitimate political parties and their leaders are openly baying for her blood, imploring their members to kill her to get a passport to heaven. In my view, Pakistan, as a country, has fallen to such depths that it won't be able to salvage itself for centuries — but, we, the civilised nations, should not stand there and let her be attacked on our watch. Asia Bibi should be immediately granted asylum to a safe country — India should be the first country to raise this issue at an international forum. Asia Bibi must live in security and peace because she is a symbol of the failure of religious zealots who otherwise get to have a free run in Pakistan. Let Pakistan fail as it has always been — but we should not fail Asia Bibi now.